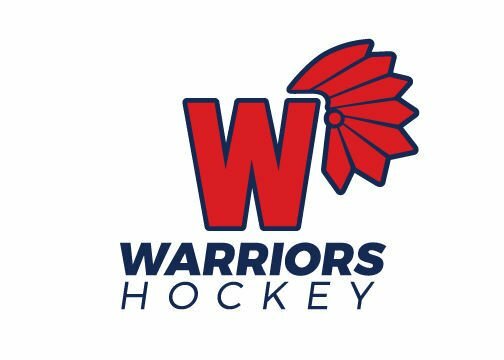 CLEVELAND, Ohio — Waterloo rode a big first period to a 6-3 victory over the Las Vegas Jr. Golden Knights Saturday to complete pool play at the USA Hockey High School Championships. The Warriors won all three of their preliminary games and take on the Boulder/Monarch Coyotes (2-1) from Colorado in the quarterfinal round Sunday at 7:30 a.m. In Saturday’s win, Carter Herbst staked Waterloo to a 1-0 lead 6 minutes, 33 seconds into the game. Las Vegas tied it :59 later, but the Warriors reeled off three unanswered goals to take command. Ben Sinnott scored at 11:55 with assists from Kole Latusick and Herbst, Herbst connected at 15:04 with help from Sinnott and Latusick, and Sinnott capped the surge at 15:35 with an unassisted goal. Las Vegas got within 4-3 on a power-play score in the second period and an early goal in the third, but Sinnott converted a power-play chance with assists from Latusick and Nick Samuelson at the 4:06 mark of the third, and Jack Harrison’s shorthanded goal at 15:15 capped the scoring. Chase Pabst stopped 15 shots for the Warriors, who racked up a 39-18 advantage in shots on goal. FIRST PERIOD — 1. Waterloo, Herbst (unassisted), 6:33. 2. Las Vegas, Mensch (Zucker), 7:32. 3. Waterloo, Sinnott (Latusick, Herbst), 11:55, 4. Waterloo, Herbst (Sinnott, Latusick), 15:04. 5. Waterloo, Sinnott (unassisted), 15:35. Penalties — John Hallett-LV (boarding) 5 40, Latusick-Wat. (hooking) 6:01, Hallett-LV (misconduct) 7:40. SECOND PERIOD — 6. Las Vegas, Mensch (Angelil), pp, 11:50. Penalties — Fox-Wat. (slashing) 1:48, Buckley-Wat. (tripping) 9:51, Fox-Wat. (hooking) 11:10, Herbst-Wat. (cross-checking) 14:18. THIRD PERIOD — 7. Las Vegas, Terrana (Zucker), pp, 2:31. 8. Waterloo, Sinnott (Latusick, Samuelson) pp, 4:06. 9. Waterloo, Jack Harrison (K. Smith), sh, 15:15. Penalties — John Hallett-LV (cross-checking) 0:00, Waterloo bench (too many men) 1:14, John Hallett-LV (tripping) 2 58, Sinnott-Wat. (cross-checking) 5:07, John Hallett-LV (slashing, game misconduct) 7:44, Purdy-LV (cross-checking) 11 16, Latusick-Wat. (high-sticking) 13:29. Power-plays — Las Vegas, 2-for-6. Waterloo, 1-for-3. Goaltenders — Las Vegas, Joseph Hallett (39 SOG, 33 saves). Waterloo, Pabst (18 SOG, 15 saves. FIRST PERIOD -- 1. Waterloo, Herbst (unassisted), 6:33. 2. Las Vegas, Mensch (Zucker), 7:32. 3. Waterloo, Sinnott (Latusick, Herbst), 11:55, 4. Waterloo, Herbst (Sinnott, Latusick), 15:04. 5. Waterloo, Sinnott (unassisted), 15:35. Penalties -- John Hallett-LV (boarding) 5;40, Latusick-Wat. (hooking) 6:01, Hallett-LV (misconduct) 7:40. SECOND PERIOD -- 6. Las Vegas, Mensch (Angelil), pp, 11:50. Penalties -- Fox-Wat. (slashing) 1:48, Buckley-Wat. (tripping) 9:51, Fox-Wat. (hooking) 11:10, Herbst-Wat. (cross-checking) 14:18. THIRD PERIOD -- 7. Las Vegas, Terrana (Zucker), pp, 2:31. 8. Waterloo, Sinnott (Latusick, Samuelson) pp, 4:06. 9. Waterloo, Jack Harrison (K. Smith), sh, 15:15. Penalties -- John Hallett-LV (cross-checking) 0:00, Waterloo bench (too many men) 1:14, John Hallett-LV (tripping) 2;58, Sinnott-Wat. (cross-checking) 5:07, John Hallett-LV (slashing, game misconduct) 7:44, Purdy-LV (cross-checking) 11;16, Latusick-Wat. (high-sticking) 13:29. Power-plays -- Las Vegas, 2-for-6. Waterloo, 1-for-3. 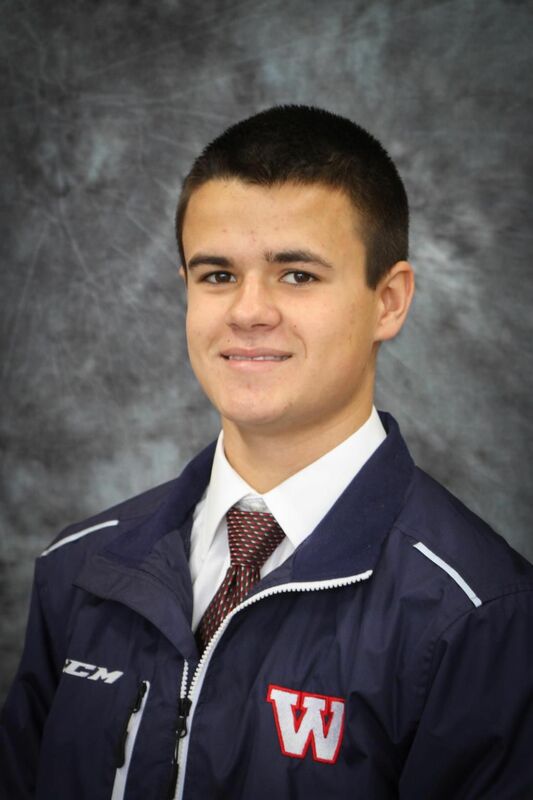 Goaltenders -- Las Vegas, Joseph Hallett (39 SOG, 33 saves). Waterloo, Pabst (18 SOG, 15 saves.